The Wisconsin Woodland Owners Association (WWOA) is a non-profit 501(c)(3) educational association for Wisconsin’s private woodland owners. Since 1979, WWOA has been sharing our passion for sustainable private woodland management with fellow woodland owners. We provide networking opportunities for like-minded woodland owners and opportunities to meet natural resource professionals that can assist you in caring for your woodlands. WWOA offers year-round educational opportunities for novice and experienced private woodland owners who want to become better stewards of their woodlands. WWOA also publishes a quarterly, award-winning magazine, Wisconsin Woodlands for our members. We offer chapter field days, topical workshops, winter landowner conferences, and an Annual Meeting every September. WWOA chapters, covering the whole state, are a great way to learn more about local woodland issues and meet neighboring owners. 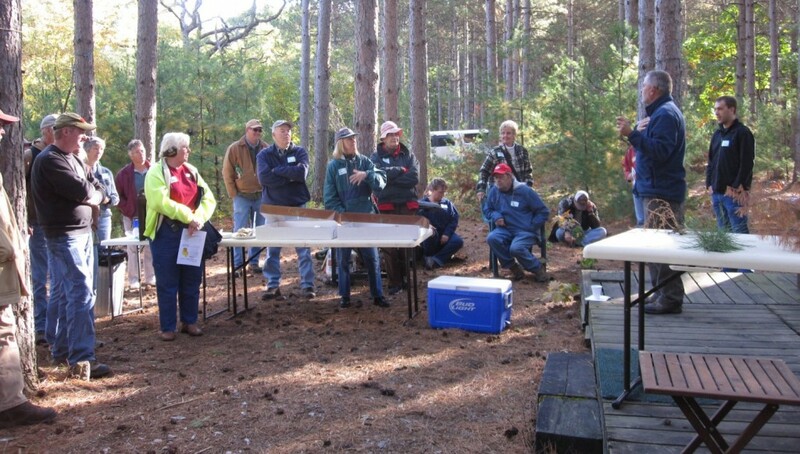 Most Chapters have two field days a year to tour member’s woodlands, learn about their goals for the property and hear about their future plans. Visit the Chapters page to find your chapter. WWOA has a variety of statewide committees covering strategic planning initiatives, government affairs, science, and publications to help keep members up-to-date on these areas.